I vividly remember long, family road-trips from Whitby, Ontario down to Chincotegue, Virginia, with my brother and I in the backseat doing our best to imitate KR at the top of our lungs. God bless our parents for putting up with that. Digital and social media marketing/networking relies on “readin’ people’s faces” just as you would in real life (#IRL). But let’s not forget the first part of the lyrics – life. Not, “I just signed up for a Twitter account for my business, why aren’t people following or replying to me?” It probably won’t take you a whole lifetime to build a network and you’ll want/need to get to know them quickly, but it does require time, effort and studying the behaviour of your network to learn how to interact with them. 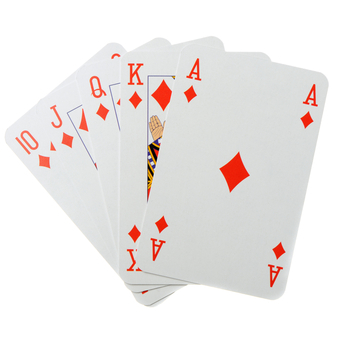 Ask yourself, who is at your “card table”? What are their “faces” telling you (via newsfeeds, conversations, Tweets, posts), and how will this influence everything from the content you share, to how frequently you post messages? Be strategic in your editing, strict with your red pen, and always remember your end-game. Are your Tweets and Facebook posts part of a story arc about your business? If not, why not? Some people feel strongly about having a clear-cut, planned-in-advance editorial schedule, while others are more comfortable with a go-with-the-flow approach. Whatever your style, at the very least have a goal and make sure that your social media content aligns to it, no matter if it’s a direct or tenuous connection. There is a fine balance between communicating enough, too little or too much. If you’ve done a good job at reading your “table” (lesson #1 above), you will have a better chance at knowing when you need to be quiet, and knowing when you should “declare your hand” by sharing information. If you notice your friend and follower lists decreasing or if they’re not interacting with you, it’s likely that you’re over sharing, or “bluffing” with poor, irrelevant content. Or you may be sharing too little and not actively engaging with your network, which could make it look like “you’re out of aces.” Take time to figure out your rhythm of posting frequency and time of day. There is information that suggests the optimum times for sharing on Facebook and Twitter to garner the most attention and interaction. However, you may find that a different pattern works better depending on the people in your network and their daily activities. So, are you coming up aces or breaking even? I like the idea of getting to know the members of your twitter network. It’s important to get to know your audience or customers. This does take some time. I believe some companies may expect quick returns from social media in terms of market share and in most cases, that’s probably not going to happen. It will take time to build trust and rapport. I like to think of a communications piece – an article, a press release, any social media content as a piece of valuable real estate. You wouldn’t put a tiny, one room shack on a prime piece of real estate…so any words you use in creating any communications materials should be carefully chosen. If the words don’t help achieve your communications goal, then they should be tossed. Similarily, if there’s information sitting on your corporate website that isn’t helping people better understand your products, services or programs, it’s best to get rid of them and not let they take up valuable “real estate” on your website. Thanks so much for your comments, and I apologize for not responding sooner. It’s been a busy week and a half for me! You’ve made some really great points, and I like your real estate analogy. It’s true – you need to think carefully about how you build your message no matter what the vehicle. Thanks again for commenting!